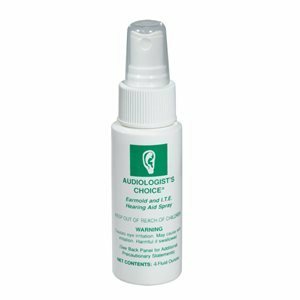 Audiologist’s Choice Hearing Aid & Earmold Cleaner is an easy way to keep your hearing aids clean. The spray is designed for ITE (In The Ear) or CIC hearing aids and earmolds. The small size of the bottle makes it easy to carry on the go so that you can conveniently clean your ear pieces when needed.